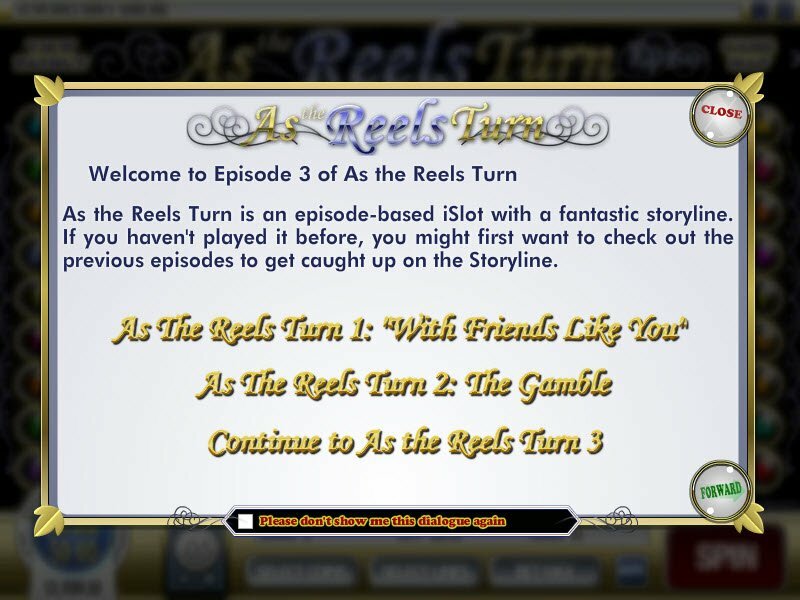 Now we've worked our way through all the scenes and bonus games As The Reels Turn Episode 1 and 2 have to offer, we come to the current final instalment - As The Reels Turn Episode 3 Slot. All our favourite characters are back for the next installment of scenes, plus a few new faces. 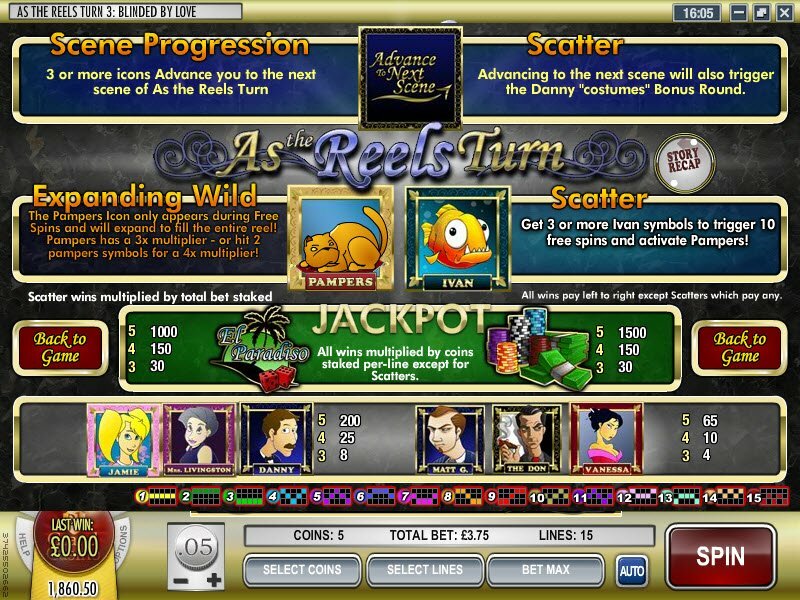 We've had "With Friends Like You" and "The Gamble" now let's see what is in store for us with this third As The Reels Turn i-slot. Matt is still best mates with Ivan the piranha, who is my favourite little yellow coloured friend in this absolutely awesome slot. All the characters are on the reels together so, make sure you have experienced episodes 1 and 2 to their fullest before embarking on episode 3 so you can make sure to be all caught up with the story so far and all the scenes. 3 or more "Advance To The Next Scene" symbols will not only take you to the next scene, but they will also trigger the Danny "costumes" As The Reels Turn Episode 3 bonus round. All our favourite characters are back for the next instalment of scenes, plus a few new faces. Ivan remains as a scatter symbol (do you love Ivan as much as I do at this point? I think he is the only sane member of the cast left!) and, Pampers the kitty cat is an expanding wild symbol that only appears during your free spins for a 2x multiplier. If you manage 2 expanding wild Pampers you'll get yourself a 4x multiplier - do the maths! Some of the writing on the screenshots that tell the story so far are missing but, this si a minor gripe of mine and, only noticeable because of the high graphic standard As The Reels Turn Episode 3, 2 and 1 have kept. -Playing this i-slot eats up all my time!